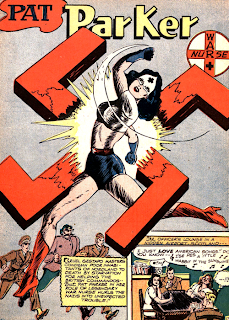 This seems to have gone under-reported in the comics press, but Isabelle Calhoun passed away on April 29 at age 94. In 1946, she married Irving Fiske, and the two used the money they received as wedding gifts to buy a 140-acre farm in Rochester. It became known as the Quarry Hill Creative Center, and was a locus for what was, in effect, the first hippie commune. At its height, there were around 90 people living there full-time with hundreds passing through more irregularly, although it's dwindled down to about 25 residents in recent years. How is this relevant to comics? Although Isabelle was her given name, she preferred to go by Barbara. And her maiden name was Hall. As "B. 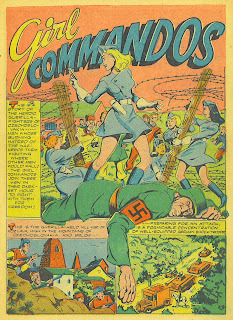 Hall" she drew the adventures of the Girl Commandos, the Black Cat and Pat Parker in a variety of Harvey comics. She only worked in comics a few years before her marriage took her out of comics and more into the realm of painting. But she also had a daughter in 1950 that went by the name Isabella, also known as Ladybelle. 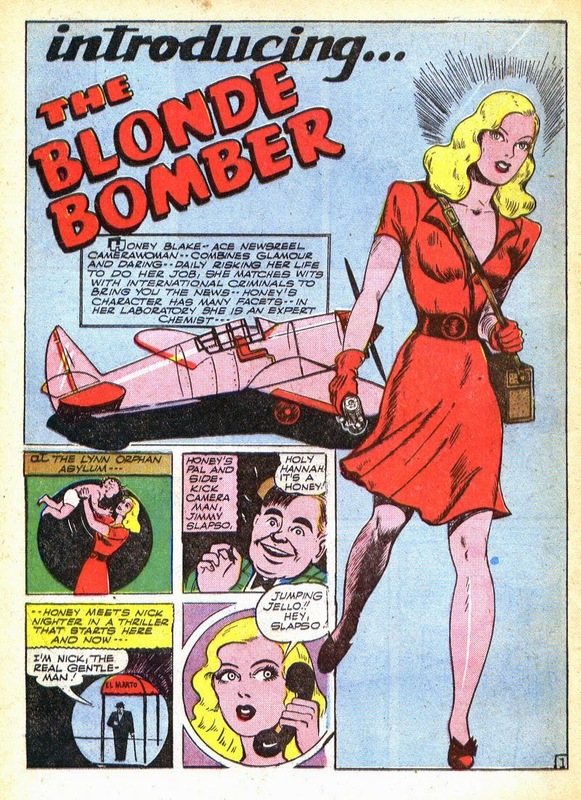 She became friends with Trina Robbins, who in turn introduced her to Art Spiegleman. This is indeed the same Isabella that Spiegleman references as his girlfriend in "Prisoner on the Hell Planet." The two stayed together up until the mid-to-late 1970s, and parted amicably before Spiegleman married their mutal friend, Françoise Mouly. In fact, Spiegleman, Mouly and Ladybelle formed the Top-Drawer Rubber Stamp Company a year later at Quarry Hill. Hall contributed art to the project, and it served as a solid means of employment for many other Quarry Hill residents. Hall and Fiske eventually divorced, and several years later Hall re-married. 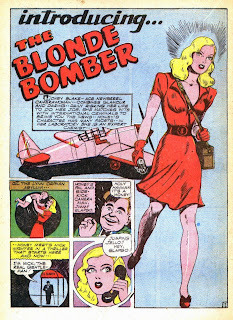 Ladybelle has noted that, while her mother was proud of the comics work she did, she was embarrassed later in life at the blatant anti-Japanese rethoric her comics often espoused. She passed away peacefully in a nursing home in White River Junction, VT where she'd been living for the past year. 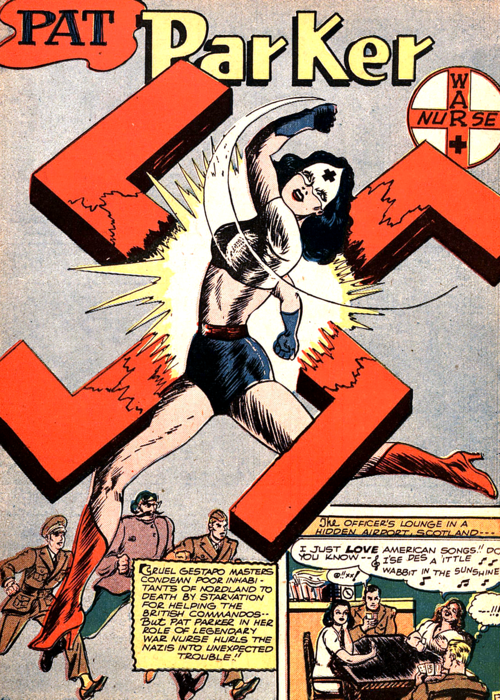 Although she didn't work in comics for a long time, she never completely leaving the field behind, and it is somewhat comforting to note that that nursing home is only a few miles up the road from the Center for Cartoon Studies. Art Spiegelman and my mother, Barbara Hall Fiske Calhoun, got along very well. She was also good friends with Trina Robbins, who first restored my mother to her place and comics by putting her name and work in One of her books on women in comics. She had a pretty remarkable life. She was also a fine artist of unmatched ability. She had no respect for or interest in her contemporaries, willing to crooning and Jackson Pollock. She thought Pollock was a drunk Who is work did not deserve consideration. Her work was figurative, and tended to at the Renaissance Ideal of beauty. PS. One inconsistency in this article: Art and I were together in the late 60s and then broke up for about five years from 1970 75. During that time, he lived in San Francisco with Michelle Gross. Upon his return to New York we saw each other again and found we still loved each other. But, when Françoise came along, we both realized he needed her and loved her. We remained friends for a very long time and I think of myself as the friend of them both even today. PS. I married a wonderful man, Brion T. McFarlin. The best thing that could possibly happen for all of us was this.